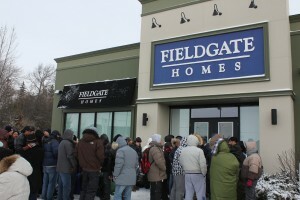 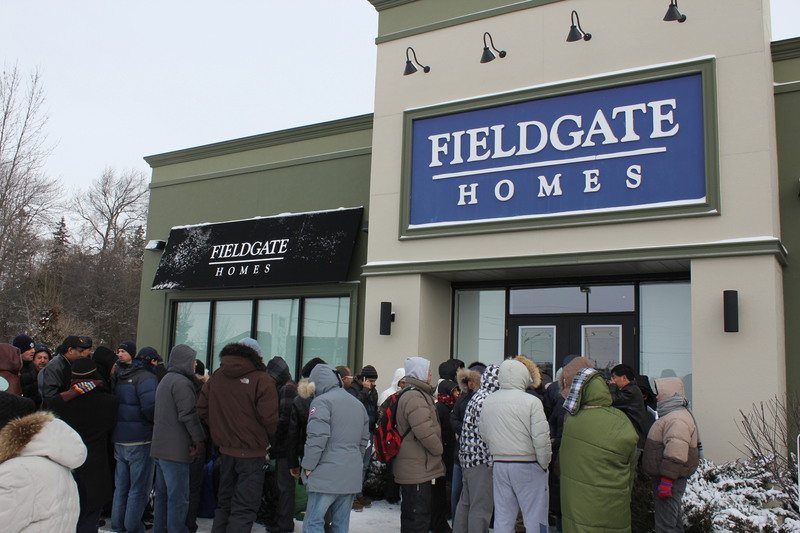 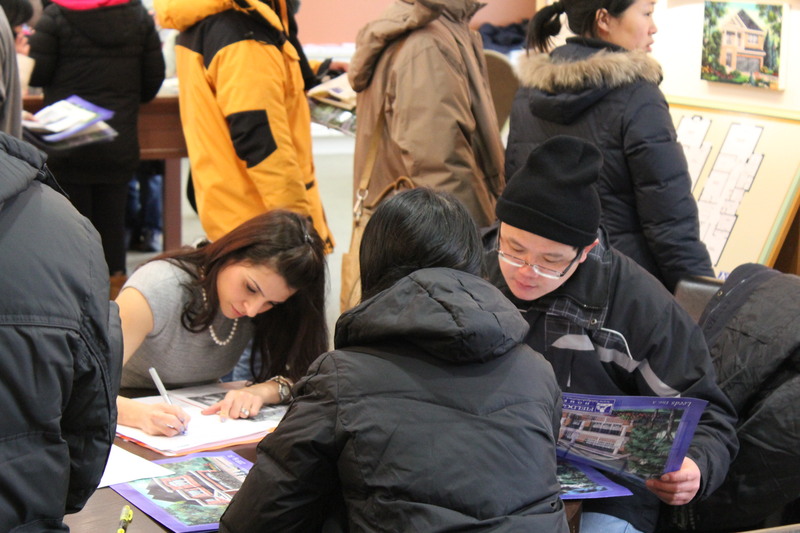 It might be cold outside, but if the line-up we saw outside our Jefferson Forest sales centre is any indication, the Richmond Hill housing market is red hot! 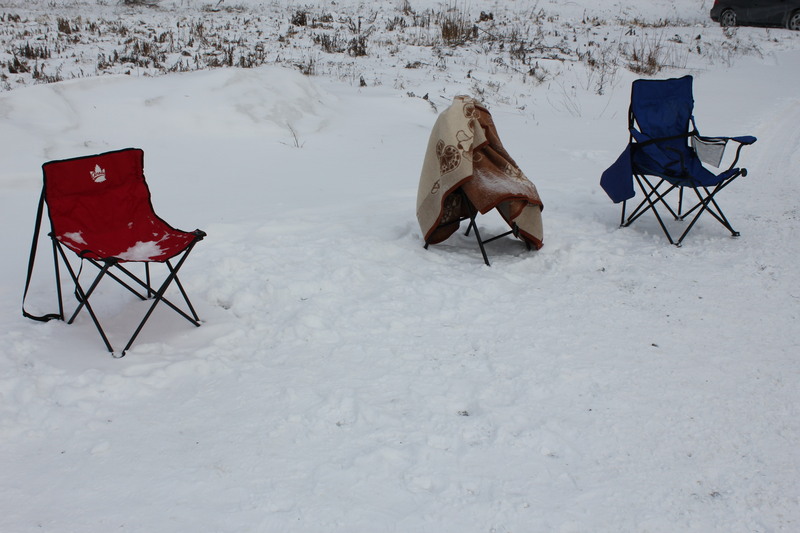 People were lining up as early as Thursday night to get first access to the new available lots, and when we were there this morning, there were comforters, deck chairs and at least a few pairs of gloves to be seen! Check out our photos below, and for more pics visit our Facebook album here. 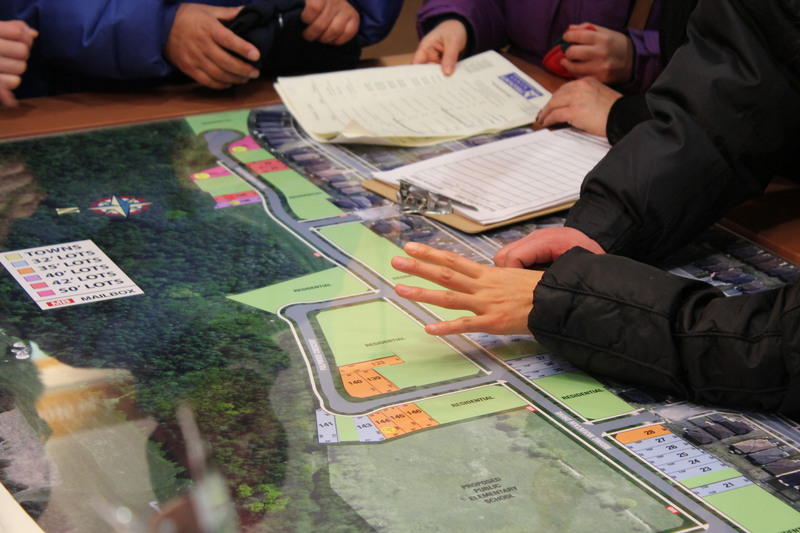 The Jefferson Forest sales centre is open today until 6pm and tomorrow from 11Am-6PM. 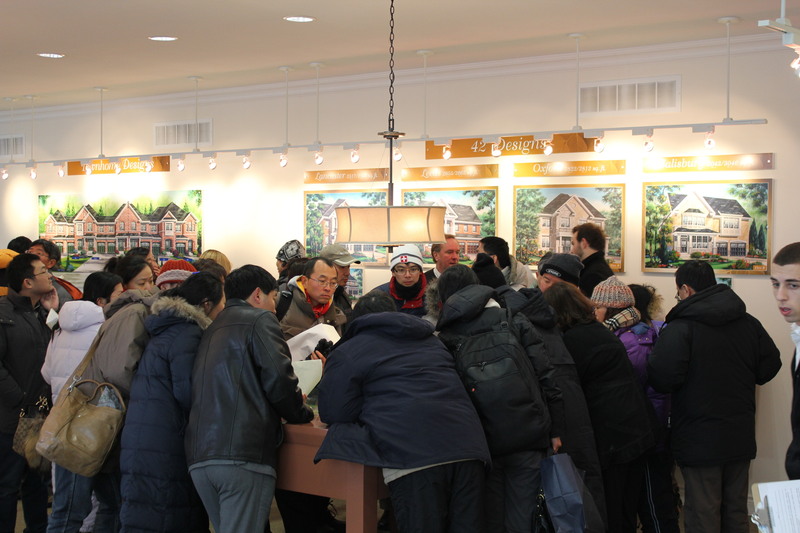 If you’re in the market to buy a home in Richmond Hill, pay us a visit at our sales centre at 11815 Yonge Street. 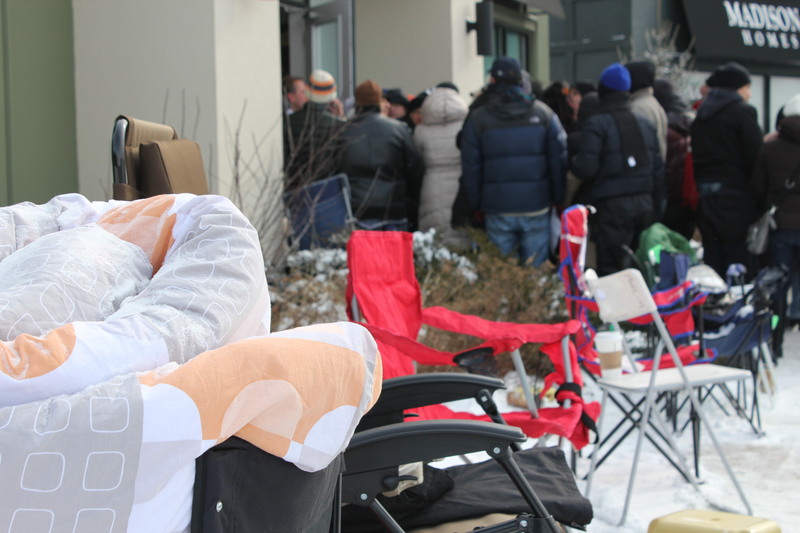 What would be the first item you pack for an overnight line-up? 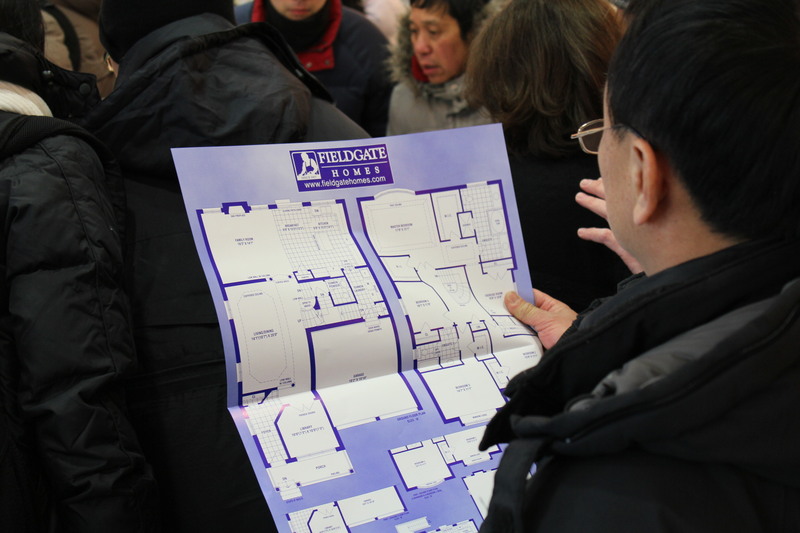 Let us know in the comments below or on Facebook or Twitter.